*Some affiliate links are used, which means I may receive a commission should you click the link and make a purchase. All opinions are my own and are not influenced by the receipt of PR products, affiliate links, or brand partnerships. In recent years, Korean Beauty (K-beauty for short) products and beauty routines have become super popular here in the states. K-Beauty is focused on skin health, hydration and sun protection (they likes to keep it perfectly porcelain over there) and while I definitely enjoy playing in makeup, homegirl is creeping up on 40 so I’m putting more focus on nourishing my skin so it looks bomb without make-up too. One of the things I’ve been most curious about is their 10-step skin care regimen. Now listen… I may be bougie AF but I’m also pretty low maintenance. I looked at these steps and was like… NOPE. I couldn’t tell you the difference between an essence and a serum nor could I tell you why you need either of them. But like I said… she creeping up on 40. 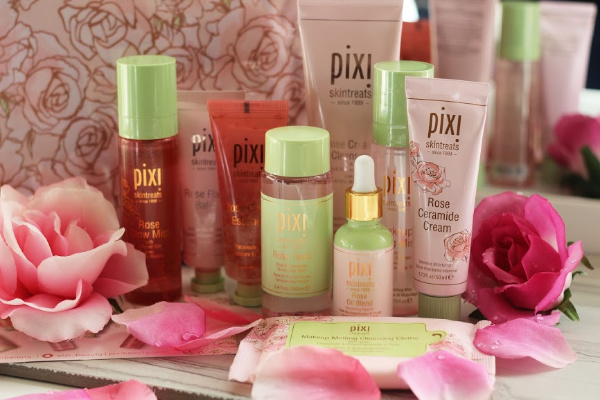 So, when my friends at Pixi Beauty sent me their entire line of Rose-infused skintreats, I figured it was the perfect opportunity to give this multi-step routine thing a try. 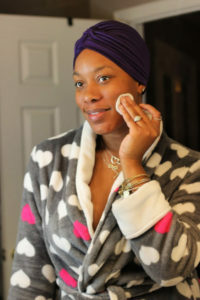 Makeup Melting Cleansing Cloths: I haven’t worn makeup since I got this collection so I can’t really say how well these work to remove makeup but I have used them as a quick on-the-go cleanser and they worked well for that. Rose Cream Cleanser: This cleanser is super mild which is nice for my uber dry skin. Even though there were no suds, my face felt nice and clean after using this. Rose Tonic: I feel like if the cleanser missed anything, this toner picks up the slack. 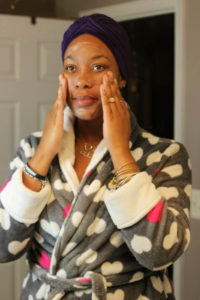 Rose Caviar Essence: I still can’t tell you what the heck an essence is but I can say with confidence that I really like the way this product makes my skin feel. Rose Flash Balm: If I thought I was confused about the essence, I’m even more befuddled by this balm. I’ve only used it once (as a mask) because I’m not really sure how or where in the process this fits in. Rose Ceramide Cream: This is a yummy smelling moisturizer that is light enough to wear under makeup and the perfect companion to the rose oil when not wearing makeup. 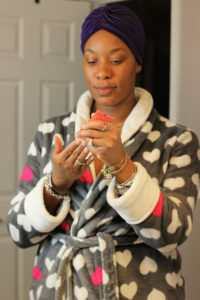 Rose Oil Blend: Before this, I’d been using sweet almond oil as my nighttime oil/moisturizer. I quit that. I love this. That’s all. Makeup Fixing Mix: Again, I haven’t worn makeup since I got this package so I haven’t used this one yet but I’ll report back when I do. 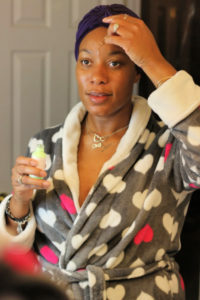 Rose Glow Mist: I’ve used this for daytime after moisturizing and nourishing. I love the dewy finish. No makeup needed. I’ll continue to use the cleanser on no makeup days and I like the toner (their Glow tonic will always be the OG though). The real winners for me have been the Caviar Essence, Ceramide Cream, and Rose Oil Blend… all the things that impart moisture. I had no idea how dry my skin was until it was properly moisturized. I can’t stop touching my face and telling people how ‘supple’ my skin is 🙂 . 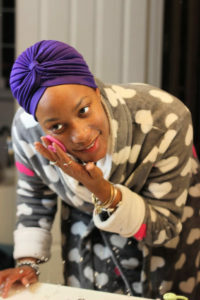 So tell me: How many steps are in your skincare regimen? Would you try a 10-step routine? I think I only have 4 steps which means I missing a bunch of ish. However, I too desire supple skin so maybe I need to add a few steps into the mix. 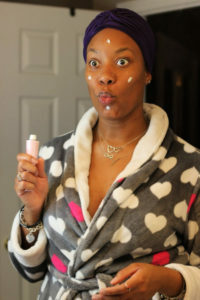 I have been using Pixi Beauty toner and I likes it. Whew that’s a lot of steps. I would do this once a month or when I felt like pampering myself but that’s it. I have between 4-7 steps in my skincare regimen, depending on whether or not I wear makeup and depending on my clay mask/exfoliating day. 10 steps seems a bit much LOL but these products look promising! That’s a lot of steps! I have 2. Throw water on it, pat dry. Lol! I used to have more, but my arms get tired.